GoLive originated as the flagship product of a company named GoNet Communication, Inc. then based in Menlo Park, California, and the development company GoNet Communications GmbH in Hamburg, Germany, in 1996. Later GoNet changed its name to GoLive Systems, Inc, and the name of its product to GoLive CyberStudio. 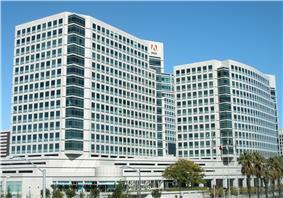 Adobe acquired GoLive in 1999 and re-branded the GoLive CyberStudio product to what became Adobe GoLive. Adobe took over the Hamburg office as an Adobe development site to continue to develop the product. The first versions of Dreamweaver and Cyberstudio were released in a similar timeframe. However, Dreamweaver eventually became the dominant WYSIWYG HTML editor in market share. After the Adobe acquisition of Macromedia (the company that had owned Dreamweaver), GoLive was progressively re-targeted toward Adobe's traditional design market, and the product became better integrated with Adobe's existing suite of design-oriented software products and less focused on the professional web development market. The Adobe CS2 Premium suite contained GoLive CS2. With the release of Creative Suite 3, Adobe integrated Dreamweaver as a replacement for GoLive and released GoLive 9 as a standalone product. 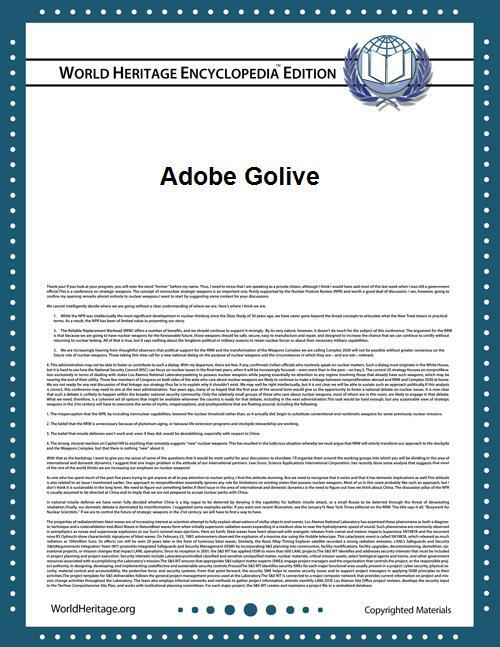 In April 2008, Adobe announced that sales and development of GoLive had ceased in favor of Dreamweaver. GoLive incorporated a largely modeless workflow that relied heavily on drag-and-drop. Most user interaction was done via a contextual inspector rather than the modal workflow found in Dreamweaver. 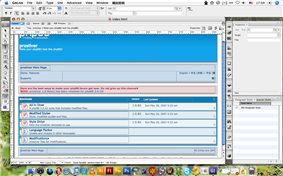 Among its features were a separate editor for tables that supported nesting, and a two-dimensional panel for applying CSS styles to elements. GoLive supported drag-and-drop of native Adobe Photoshop and Adobe Illustrator files via what the company called "Smart Objects", which then automatically guided the user through saving those files in web-supported formats. Updates to the original Photoshop or Illustrator assets were automatically tracked by GoLive. It also implemented a tool called "Components" which allowed updates to interface elements throughout a site to be updated globally by changing One single File. As a web site management tool, GoLive allowed users to transfer and publish content directly from within the application, and allowed individual files to be excluded from uploading. One of the new features of GoLive version 5 was Dynamic Link, which was a method of creating dynamic, database-driven web content without the need to know a server-side language and with full WYSIWYG support in the GoLive user interface. Initially very basic and supporting only Microsoft's Active Server Pages, this feature was greatly enhanced in GoLive 6, adding support for the PHP language and several databases. Despite being technically innovative, Dynamic Link was complex to use and somewhat buggy, and Adobe chose to drop the feature from the subsequent GoLive CS release. Adobe was widely criticised for this move in the press, which also caused consternation with many GoLive users, who feared that Adobe was abandoning professional web designers. Adobe GoLive is coded in the C++ programming language. It is unusual in that instead of using a standard C++ framework such as PowerPlant or MFC, GoLive uses a custom C++ framework called SCL (Simple Class Library) which was initially built from scratch by the engineers at GoLive Systems Inc. The SCL framework was also used in the short-lived Adobe Atmosphere 3D software. As the final version, GoLive 9 was discontinued in April 2008. ^ Cohen, Peter (27 April 2008). "Adobe discontinues GoLive". Macworld. Archived from the original on 29 April 2008. Retrieved 28 April 2008. ^ Bjarne Stroustrup. C++ applications, 25 May 2007. Retrieved on 19 June 2007.